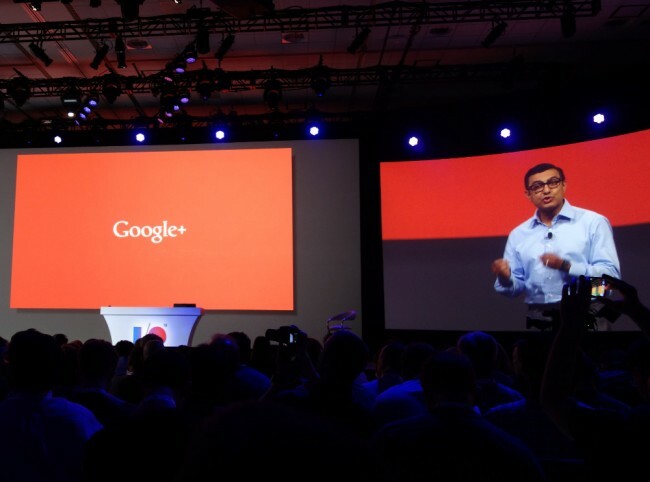 Why Couldn’t Vic Gundotra and Sundar Pichai Sleep Last Night? It’s October 28, one of the oft-rumored potential announcement dates for the new Nexus 5 and Android 4.4 “Kit Kat.” While we still have nothing official to share with you from Google, we are a bit curious as to why Vic Gundotra, Google’s senior VP of social, was so excited last night for Monday to arrive that he couldn’t sleep and needed to ask Android boss Sundar Pichai if he was having troubles as well. The timing of his posts to Google+ on the eve of the week that we had been expecting new Nexus products to arrive has at least caught our attention. Gundotra tossed out two posts, one that read, “Can’t sleep. Always happens to me on Sunday nights. Yes working at Google is that exciting,” along with another that read, “Hey Sundar Pichai you struggling to fall asleep too?” Pichai responded to him in the comments with “Nope +Vic Gundotra I am fast asleep 🙂 know how to post even in my sleep, yes, Sunday nights are hard.” Are they hinting at announcements? Are they really just that excited to be Google employees? Is it just a coincidence that he said this and involved Pichai, who is the head of Android and Chrome, on the Monday that kicks off this particular week? The first post gives off a sort of I’m-just-in-love-with-Google-and-Mondays-are-awesome vibe, but then he sent out the second post to Pichai for added involvement. It could mean that Google execs are gearing up for something big or maybe Vic really does just like talking to other execs at midnight on a Sunday night. There really isn’t enough there for us to know, plus with all of the trolling going on lately, this could be Google messing with us. Gundotra does tend to post up teasers here and there on G+, though. The latest rumored data for a Nexus 5 launch comes via @evleaks, who suggests we could see the phone by November 1. If that’s the case, then an announcement either today or tomorrow would make a lot of sense. We’re still trying to figure out why no press event was involved, but hey, Google rarely does things in any sort of typical way.